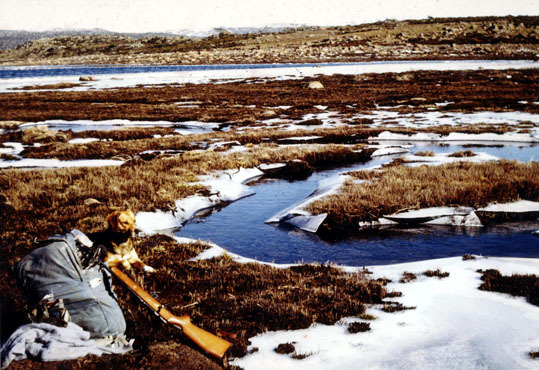 When I moved to Tasmania from the Red Centre in 1981, I became addicted to winter walking. I had very little experience with snow, and after visiting Cradle Mountain I was captivated by the raw beauty of winter landscapes, the stillness and solitude. 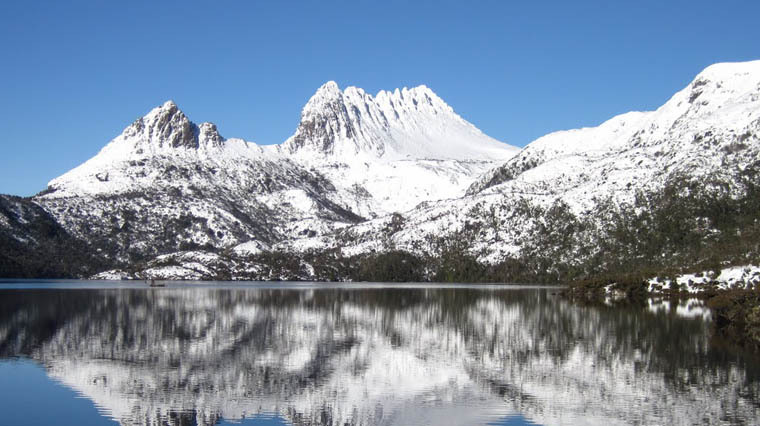 On completion of my College studies, I decided to explore the Central Plateau area of Tasmania. The Central Plateau of Tasmania is the largest area of high ground in Tasmania. 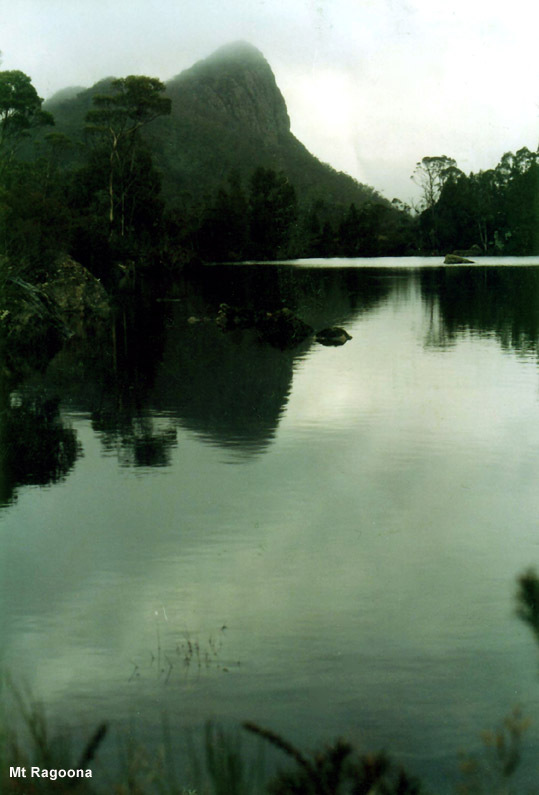 It is bound to the north east by the Great Western Tiers, and to the west by Cradle Mountain national park. The high, cold Central Plateau is surrounded by the low, dry, grassy Midlands to the east and south. The climate is harsher and colder than in the surrounding low-lying areas and in winter; snow, high winds, ice, and cold winter temperatures are standard. Although I had little high country winter walking experience, many of the survival principles I had learnt in the arid region of Australia could be applied, just in reverse. In the first winter I spent a total of 12 weeks on the Central Plateau, enjoying the solitude of solo walking. Winter walking, especially solo walking is not recommended, unless you have well developed survival and navigation skills. In order to stay for extended period of time I walked in very basic foodstuffs like potatoes and onions and cached these food-drops in strategic locations. Having recently graduated from College I had little cash for equipment and my first backpack was a simple unframed pack, in fact more like a sack! In those days a rifle could be carried, and I lived off the food drops, fishing and meat from the occasional kangaroo. 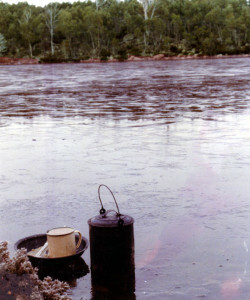 The meat would keep for many days in the cold conditions, and the odd trout also provided a break from eating red meat. When I did shoot a kangaroo for meat I also salted the skins, rolled them up and put the pelt at the bottom of my pack. On return to the lowlands, I would peg them out and tan the skins. 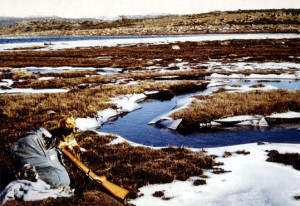 In the picture on the camping and trapping page I am wearing a kangaroo skin taken from this cold high country. The fur is long and white-tipped indicative of an animal living in high snow country. I also had long fur gloves, and this basic clothing was protection from the harsh environment. Today of course, there is an extraordinary range of reasonably priced winter clothing for all occasions. My equipment, including my tent was rudimentary to say the least. 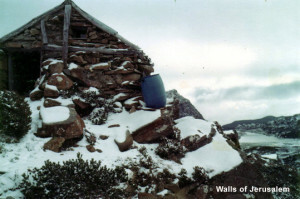 If there were huts in the area, I would often stay in them for a couple of days, to dry clothing and enjoy the shelter. The rock hut below is in the Walls of Jerusalem national park and is perched atop a hill with wonderful views. I look back on this winter walking experience with fond memories, the crystal clear air, the beauty of frozen lakes and tarns, howling snow storms, and the stillness of the morning after a region is transformed by nature’s magic, into a winter wonderland.